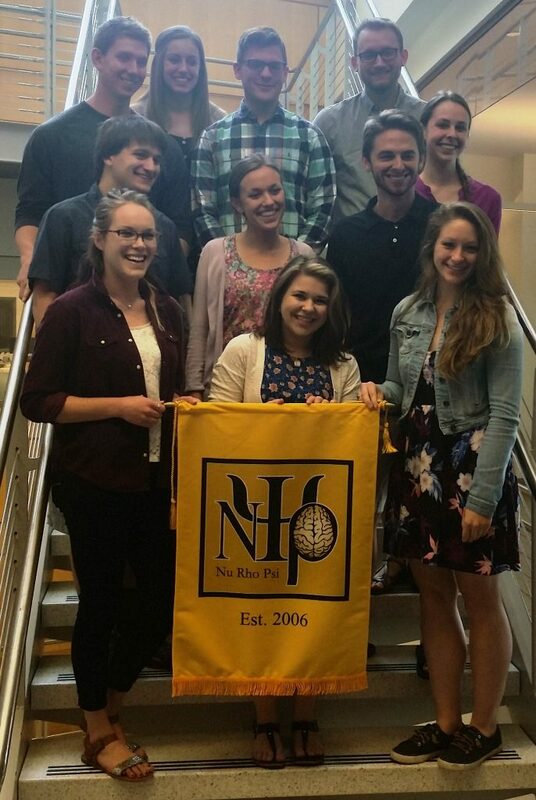 Neuroscience is a multidisciplinary program that provides students access to the field by linking curricula, faculty, and students in a contract concentration that requires foundations in at least two natural sciences and stretches to connect with courses in the arts, humanities, and social sciences. It provides students with a broad introductory exposure to the field of neuroscience by requiring students to integrate material from several disciplines to answer questions about the brain, behavior, and consciousness. Students interested in the neuroscience program must consult with the director of the neuroscience concentration near the end of sophomore year to develop a contract. 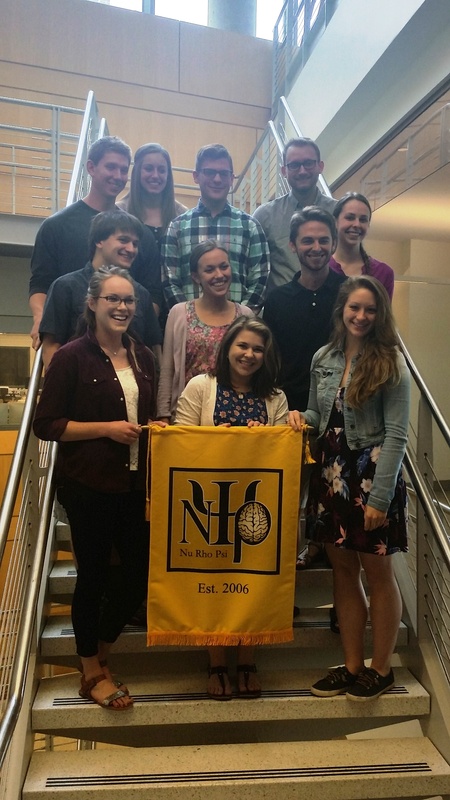 2016 NuRhoPsi Inductees (Back Row L-R: Charlie Heller, Lauren Martin, Roman Tyshynsky, Jake Westerberg; Middle L-R: Stuart Behling, Ellen Sutter, Joey Kronzer, Megan Braun; Front L-R: McAllister Stephens, Amara Balhorn, Sara Stackhouse).